Welcome to A-Plan, Alton - High Value Homes, your nearest branch. Selborne House, Wallbrook Office Centre, Mill Lane, Alton, GU34 2QJ mile away. 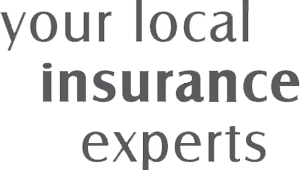 As your local insurance broker, A-Plan Alton - High Value Homes has been serving clients in your area for many years. We have specialist facilities for high value home insurance. Our specialist team, here at Alton, work in partnership with a number of select insurers to provide policies uniquely tailored to our client's needs for motor and home. As well as providing a very personal service, with independent and impartial advice, our home policies are designed to cover almost every eventuality. We can also provide a completely free assessment of your current contents sums insured and have access to other specialist professionals, should you require assistance with surveys, valuations or security arrangements. In the unfortunate event of a claim, we'll be there when you need us most, to ensure a prompt settlement with the minimum of fuss. And, unlike most policies, you'll be free to use your own suppliers or tradesman, rather than being forced to use those appointed by your insurer. Your Alton - High Value Homes Branch Manager. Get the right cover at a great price! Put our local team to the test to see how we can help you.